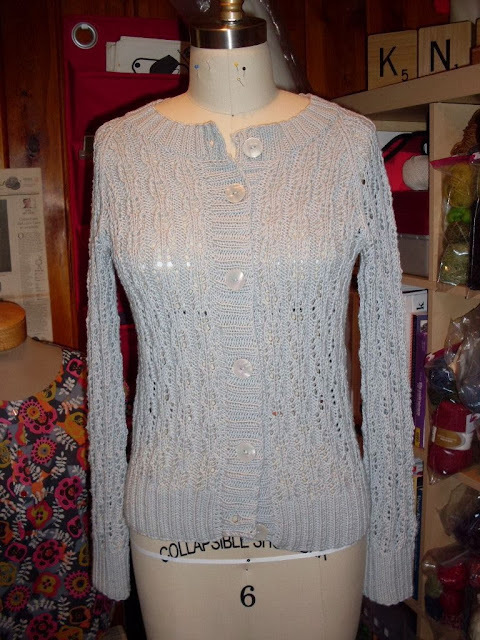 Here's my finished Windsor Cardi. This was knit using the recommended yarn, Rowan's Wool Cotton. I can already tell that I'l be getting a lot of wear with this sweater. It's warm without being too terribly hot. 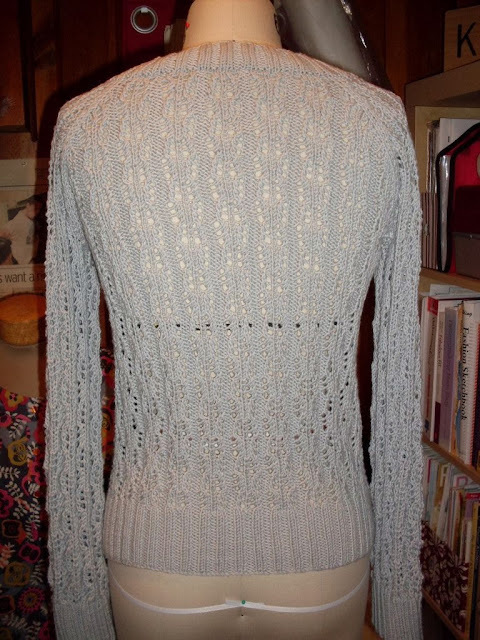 Aside from the sleeves, it was knit in one piece and that there was virtually no seaming to do. The only mods I made were to use a smaller button (seven-eighths versus one and a half inches) and make the body length just a tiny bit longer. The lace pattern was easy to memorize after a while, so the knitting went by pretty fast. I love it!